Combining multiple vaccine administration routes achieves a better immune response. This is the finding of a recent study conducted as part of the European CUT’HIVAC project, coordinated by Béhazine Combadière, Inserm Research Director at the Center for Immunology and Infectious Diseases (CIMI-Paris, Inserm/Université Pierre et Marie Curie/ CNRS). This research opens new perspectives for “personalized” vaccination in which the immune system’s response to infection can be adapted. This research, performed as part of a candidate DNA vaccine against HIV, was published in Scientific Reports in October 2017. Since the development of the very first vaccine, against smallpox, in the 18th century, some twenty vaccines have been created. Nowadays, researchers worldwide are working on the development of new vaccines capable of eradicating certain viruses that continue to cause the deaths of thousands of people, such as the human immunodeficiency virus (HIV) or, more recently, Zika and Ebola. Based on the innate ability of human beings to develop “memory” immune responses, vaccination consists of administering an attenuated or inactivated form of an infectious agent. Vaccines can be brought into contact with the body via various routes of administration. 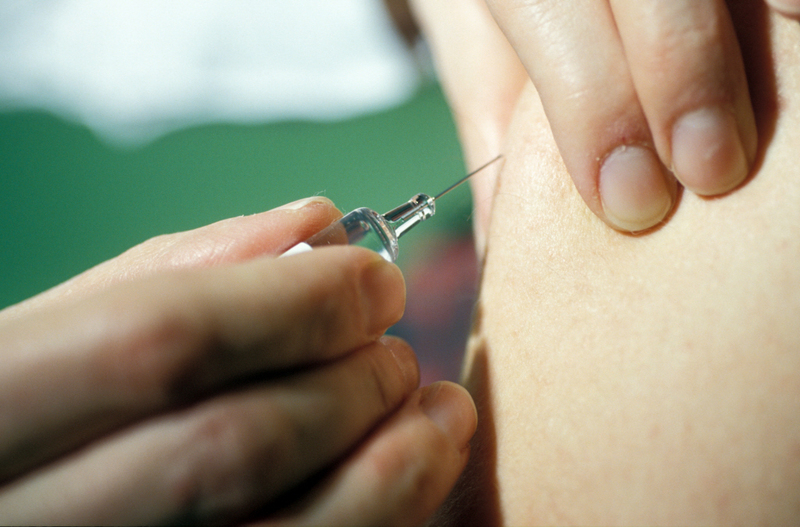 At present, vaccination is carried out mainly via the intramuscular or subcutaneous routes. A new route, called the transcutaneous route (through the skin), is currently being studied and is still undergoing clinical trials. This route is rarely used for vaccine delivery because it requires a high level of expertise. The benefits are, however, that it uses low doses and can be performed without needles by depositing the vaccine in hair follicles. As part of a collaborative project called CUT’HIVAC (acronym for “Cutaneous and Mucosal HIV vaccination”), Combadière and other researchers are seeking to develop new vaccines, in particular against HIV. One of the aspects being studied is the quality of immune responses induced depending on the various vaccine administration routes, including the transcutaneous route. In addition, transcutaneous administration more particularly targets the antigen-presenting Langerhans cells located in the epidermis, which play a fundamental role in initiating the proper cellular immune response. and Group 3, vaccinated via intramuscular injection administered with electroporation, a microbiology technique used to increase cell membrane permeability – in this case to the DNA contained in the vaccine – by applying an electric field lasting one millisecond. 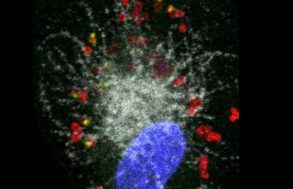 This recent research reveals that the group that received the intramuscular injection with electroporation obtained the strongest immune response, as reflected by the production of large quantities of interferons (cytokines secreted by the immune system) in contrast to the other groups. However, this response, albeit strong, was of insufficient quality. Interestingly, the group that received the transcutaneous administration presented an immune response in which a variety of cytokines was produced, which reflects a better immune response. While preliminary, these results offer new perspectives for differential shaping of desired cellular immunity, required to fight the vast array of infectious diseases and cancers. Combining multiple administration routes achieves a more specific improved immune response, able to adapt to any infection. “These are encouraging results in that they help to further research into DNA vaccines, particularly for HIV. 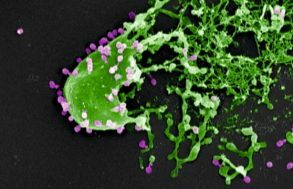 The next step will be to determine whether this vaccination approach is able to modify the immune responses of individuals infected with HIV,” state the researchers having conducted this study. The CUT’HIVAC project received European Union funding through the 7th Framework Programme, an international collaboration involving research groups located in the United Kingdom, Germany, France and in two biotech companies. Imperial College London, Department of Medicine, Section of Virology, Group of Mucosal Infection and Immunity, London, United Kingdom. FIT Biotech Ltd., Tampere, Finland. Ichor Medical Systems Inc, San Diego, CA, United States. Human Immunology Laboratory, International AIDS Vaccine Initiative, London, United Kingdom. Clinical Research Center for Hair and Skin Science, Department of Dermatology and Allergy, Charité – Universitätsmedizin Berlin, Charitéplatz 1, 10117, Berlin, Germany. Medical Research Council Clinical Trials Unit at UCL, University College London, London, UK. Sorbonne Universités, UPMC Univ Paris 06, INSERM, U1135, CNRS, ERL 8255, Centre d’Immunologie et des Maladies Infectieuses (CIMI-Paris), 91 Boulevard de l’Hôpital, F-75013, Paris, France.